« Attack of the Reishi! Mugwort is one of my favorite allies. I’ve actually been working with mugwort for quite some time, it was one of the first plants that I really began working with, and one of the plants that really sparked my interest in the possibility of developing a further relationship with the flora around me. 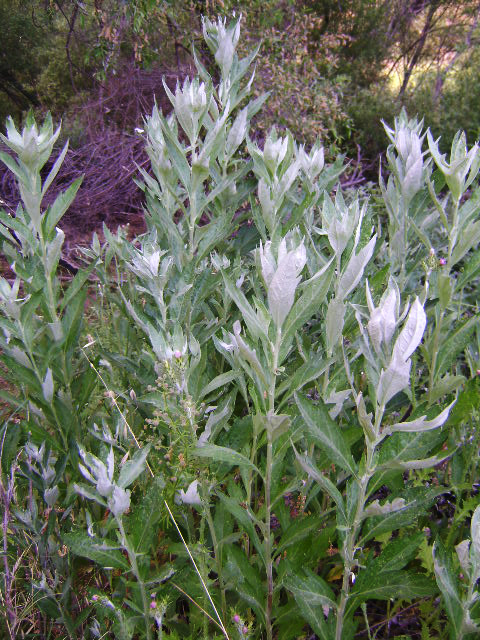 Mugwort has been used by the people of this area (Southern California Chumash) for a long long time. It’s a beautiful beautiful plant that grows in areas near water, often under or around fallen trees. The leaves are lobed, and are a gorgeous silvery shade of green that looks like moonlight. It is best to harvest mugwort before it flowers or seeds, when all the energy is still being put into the leaves. Also,the best time to harvest mugwort is in the morning, before the dew evaporates from the leaves, and before the sun heats it. Mugwort is known for being able to quiet the mind, so that dreams may come at night. Also, it helps bring connection between our physical and spiritual selves. Many people believe that mugwort helps give you more dreams/lucid dreams. For me, I am always more attuned to my subconscious when I am around mugwort. Other people smoke it, I have rolled it with tobacco, for a nice smoke. People I know have told me that it gives them incredibly lucid dreams, others have had no effect that they noticed, and I end up being up all night and having intense spurts of creativity. I think it depends on the person. I like to make little pillows out of the fresh leaves to sleep with at night. Adding lavender and chamomile make a really relaxing bedtime mix. Or, you can burn a few of the dried leaves before you go to bed. 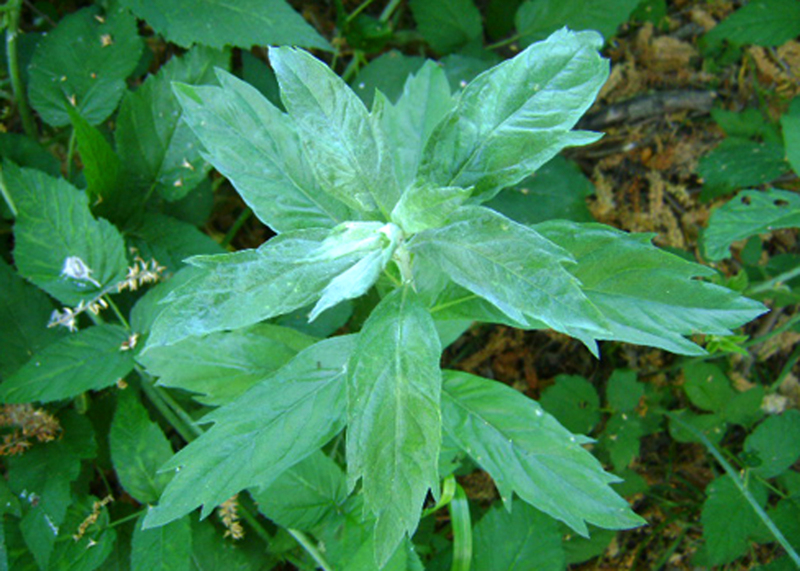 Mugwort is a feminine plant, and has been believed to be a protector of women. It helps to regulate the cycle of women, since mugwort is a uterine stimulant. To make a tea to ease pms or cramps, make a tea from about a finger length piece of mugwort root. 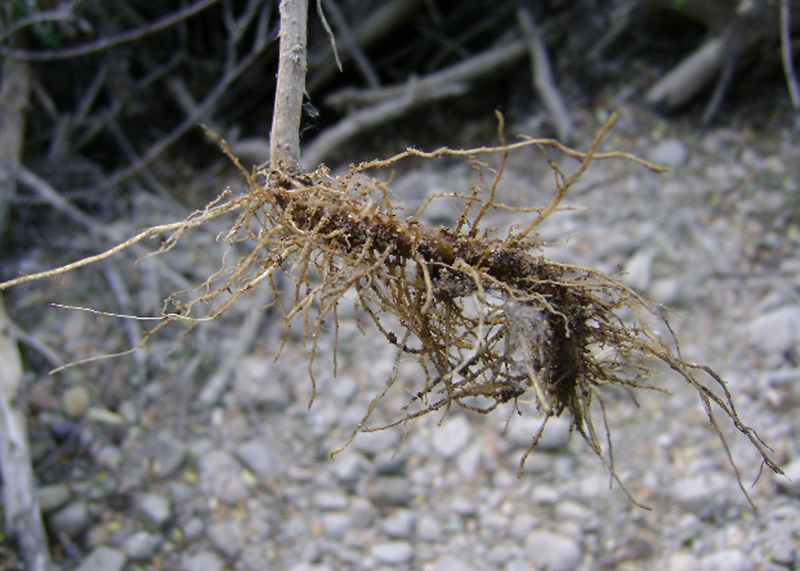 You will have to use your judgment here, as some roots/stems are much thicker. Some of the roots can be pretty gnarly, and hard to get out. Using a piece of the stem as close to the root as possible works just as well. Steep root in hot water for at least five minutes. Drink and enjoy! Yeay for Mugwort! I bought a little Mugwort plant because I couldnt’ find it wild anywhere in this area and i let it go to seed so that I could grow more plants. I’ll send you some seeds when they’re ready!!! They would be perfect in seed bombs. You don’t need seeds – it grows vegetatively with great speed from the roots – a small piece will do the trick, in moist soil. Here in NJ it’s ubiquitous. Must try the pillow effect! Hello!This is the first time I’ve grown Mugwart and she has already gone to seed and there is a shoot that has came from the bottom, shall I let the shoot do it’s thing or shall I transplant it? In New England we call Artemisia vulgaris mugwort. This plant looks to be an artemisia as well. I have seen it around in cultivated gardens. Perhaps it is simply the soil and climate differences and they are both the same plant, regional variation???? We do have a garden plant that looks like this…. I am curious because the mugwort pictured looks nothing like our and the middles photo actually looks like out Motherwort … what region are you in? I am northeast US and was wondering what variety you photographed?